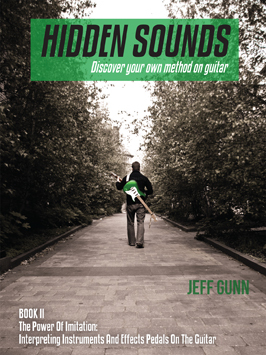 Book II, The Power of Imitation: Interpreting Instruments And Effects Pedals On The Guitar, uses a variety of the techniques introduced in Book I and advances them through a process of imitation. We show that by attempting to imitate the tones or sounds of other instruments we discover new sonic possibilities on the guitar and new ways to physically play the guitar. Instruments that are imitated include the mandolin, the charango, the banjo, the DJ record scratch, and many more.